The election is right around the corner and, boy, are political tensions running high right now! But before we get into that, let’s talk about last Wednesday’s City Council meeting. 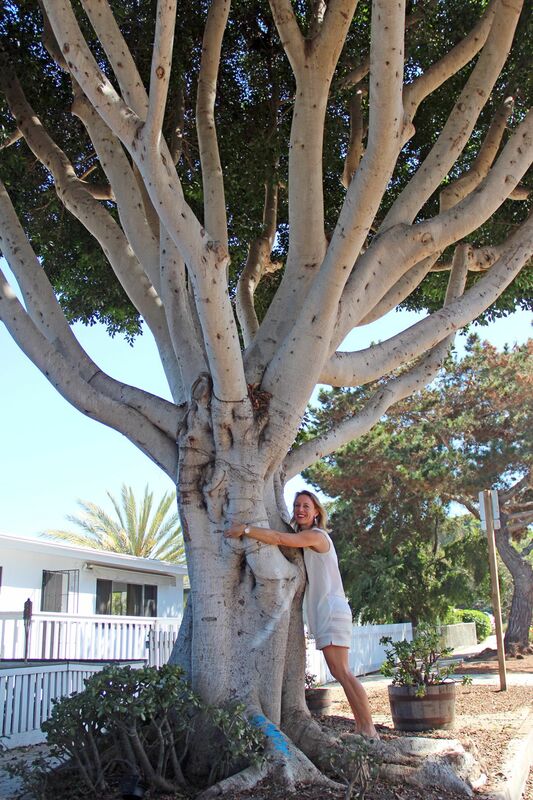 I was thrilled to see in this week’s agenda report a recommendation to save the 55 downtown ficus trees with an aggressive trimming, lacing, and root reduction approach that will cost the city an additional $54,000 a year. We gratefully accepted a large donated glass mosaic art piece from the Surfing Madonna Oceans Project for the new Marine Safety Center that the city is building to replace the lifeguard tower at Moonlight Beach. The Surfing Madonna organization not only proposed the art and partnered with a qualified, talented artist team to create it, but they’re covering its $20,000 cost. In the future, we’ll consider a second art piece where visitors can tell time by standing in the center of an interactive sundial. I’m grateful for the generosity of Surfing Madonna and their commitment to having more ocean-themed art in our coastal community. We also approved a solar proposal for the city to become the first net zero city in the state, which means we will put enough solar panels on city buildings to eliminate the city’s use of electricity from the grid. This is really exciting! The different ways of financing the solar project are complex, and I spent a chunk of time this week doing research to make sure I felt comfortable that our financing approach was in the city’s long-term financial interests. We agreed to pursue an energy services agreement, and install solar panels on the library, city hall, the community and senior center, and the public works facility, and possibly some other places. The project is expected to save about $4.9 million over 11 years. Both my political opponent Paul Gaspar and his wife, current Encinitas Mayor Kristin Gaspar, went into attack mode against me this week, hurling accusations, insults and untruths. I went head-to-head with Paul Gaspar in an 11-minute interview on KPBS’ Midday Edition radio program. It’s definitely worth listening to. It’s telling about the type of Mayor that Paul Gaspar would be, both in terms of the anger and vitriol he’s comfortable unleashing on others and his utter lack of any local policy interests or vision for the city’s future. After the radio interview, I received several messages of encouragement like this email posted on my Facebook page. The parallels between our mayoral contest and the national presidential election are striking. I take the state’s open meetings law seriously, and I did not violate the Brown Act with a passing comment in the hallway to another Council member. I’ve been told that spurious allegations of Brown Act violations by political opponents are common around election time. We ultimately voted 3-2 to pursue drafting a lease, the terms of which have not been worked out yet. This continues the past divisiveness about making Pacific View a successful thriving art hub in our community. It’s well past time to get Pacific View up and running, many months after we chose to negotiate with the operating partner. Unfortunately, we should prepare for more negativity in the remaining 36 days of this Encinitas Mayoral campaign. Why do candidates go negative? Because it often works, say election experts. People routinely complain about disliking negative campaigning, but then the results of elections demonstrate that it’s effective. The saddest part for me is what’s lost through this scorched-earth approach. Despite some clear political differences with Kristin (here’s a video of her explaining her support for Donald Trump), I had previously felt a certain camaraderie with her and a level of mutual respect. I appreciate female leaders of all stripes and I root for women to succeed. Serving together on the City Council, we had established a functional working relationship. As the Mayor, she nominated me to serve as her Deputy Mayor. Together, we traveled to Sacramento for a conference, served on several subcommittees, and socialized at events. The negativity and untrue accusations create a lot of bad blood and rip the fabric that had been stitched together between us. In light of the possibility that I could serve in elected office with one or the other of them in some capacity, this seems like a particular shame. This ad from a local newspaper does not include the legally required information that he’s a physical therapist, and talks of “prescribing,” something physical therapists aren’t legally allowed to do. In the midst of the intensity, I want you to know that I’m very grateful and uplifted by your support during this stressful season! I won’t ignore the attacks, but I will do my best to take the high road and turn this campaign into a positive discussion about the bright future of Encinitas. P.S. To participate in this year’s historic election, you must be registered to vote before Oct. 24th. Click here to register! And this week, hear from all seven candidates for Encinitas Mayor and City Council at the Olivenhain candidates forum. Olivenhain Meeting Hall, 423 Rancho Santa Fe Road, on Wednesday, October 5 at 7:30 p.m.
Late yesterday afternoon, I joined City Council candidates Tony Kranz and Tasha Boerner Horvath for a delightful and informative campaign meet-and-greet in a Village Park greenbelt. Special thanks to hosts Amy and Eric Olson, and Amanda and Matt Whited, as well as all the families who attended. To find out about future events, click here.